Boston: John F. Murphy , 1897 For friends on the Cape, if they do not have it!. Bagged & Boarded for Posterity. 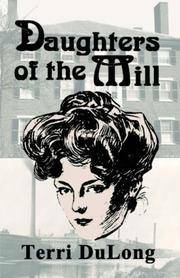 Daughters Of The Mill. Signed and Inscribed. Lowell & Salem, MA . Second Book in the 'Lost Souls' Series. Jada Pr, 2004 Jada Press, 2004. Discard fro the Dover, NH High School Library. Few marks, still near fine. Signed and Inscribed as a gift to the HS by the author.. Near Fine. Bagged for Preservation. Hisory of The Richardson Light Guard 1901-1926. Wakefield, Massachusetts. Near Fine First Edition Hardcover. Wakefield, MA: Item Press, 1926 317 numbered pages, photo illustrated original printing. Near Fine in medium blue cloth, hardcover. NOT a reprint!. D of the Tenth. Massachusetts State Guard. War Service 1917-1920 . First Hardcover Edition, 1921. 0th Regiment Infantry , 1921 Publisher: D. Co., 10th Regiment Infantry, Massachusetts State Guard, 1921 Used - Very Good: D. Co., 10th Regiment Infantry, Massachusetts State Guard. Very Good. 1921. First Edition. Blue Cloth. 8vo. 58 pages, all edge gilt. Nice framable 26" x 9" long folding photo of the Regiment at Camp Calvin Coolidge with 1 tear along top. Members of the Guard, who served on Corey Hill during the Spanish Influenza epidemic caring for men of the United States Merchant Marine and at South Boston during the stike of the Boston Police. First edition.. First (Only) Edition. Bagged for Preservation. 1919 The Brattle Press, Cambridge, Mass., 1919. Hardback. Maroon cloth, gilt lettering on front cover and spine, illustration of field cannon, in gilt, on front cover, 8vo, 269 pp. Covers the period from entering Federal Service in 1917 until demobilization in 1919. Frontis photo of a French 75 and many full page plates within text, including 8 double-page maps. Owned and signed/dated by enlistee 'Walter N. Thomas' who enlisted in 1932, reenlisted in 1935 and was discharged in 1938. Signed twice in ink on the front end papers. 2 illustration plates loose, else near fine condition. . First. VG+. History of the Town of Hanover Massachusetts with Family Genealogies . 1910 First Edition Hardcover. 1910 An indispensible tome for the genealogist with interest in the town of Hanover, MA and vicinity. The genealogical section is 478 pages, the historical section is 291 pps including index and front info pages. A few loose and chipped pages and 1 errata sheet laid-in, gift inscription of the good reverend Marcus H. Carroll and Joshua Sylvester (in 1911.) Good usable condition in the original green cloth dbs. . Hard Cover. 8vo. Bagged for Posterity. Privately Printed by the Akerman-Standard Company, Providence, RI, 1932. Hard Cover. Condition: Near FineFirst Edition. 58 pp. Original paper covered boards. 'Miss Abbotts School Alumnae Association' bookplate on front endpaper..
Barekneed Publishers, 1987 Barekneed Publishers, 1987. Hardcover. Condition: Good. Dust Jacket Condition: Good. Oversized hardcover. Boards are blue, with gold lettering stamped into the spine. Black-and-white photographic endpapers. No date listed on title page. Copyright page dated 1987. 287 pages. . About Fine. Saugus: 350 Years. First Edition, 1979, Signed. Saugus, MA: Saugus Bank, 1979 App. 200 pages of photos and history of the MA town. Photos eproduced in sepia tone. 14 chapters, quite nicely done. Signed and gift personalized to a friend on Sept. 14, 1979, the year of publication. Very uncommon, no other examples for sale on the net at this time. 2 copies only on worldcat at institutions in MA. . 4to - 11" Tall. Bagged for Preservation. Life and Times in Shoe City: The Shoe Workers of Lynn. (An Exhibition at the Essex Institute, Salem,. First Printing, 1979. Life and Times in Shoe City: The Shoe Workers of Lynn. (An Exhibition at the Essex Institute, Salem. . Near Fine. Bagged & Boarded for Posterity. Revere City Hall: The Author & The Grant Printing Company of Malden, MA, 1979 1979. Spiral bound, color illustrated stiff card paper covers with 189 photo-illustrated pages. This was an undisclosed number limited edition, this number 096 below the copyright data on the title page. Scarce.. True First Edition. Spiral Bound. Near Fine. Bagged for Preservation. History of Saugus, Massachusetts. First Hardcover Edition, 1916. 1916 Citizens Committee of the Saugus Board of Trade, 1916. Hardcover. Condition: Very Good. Lynn (Massachusetts)- A Photo and Advertising Book, Circa 1885/90. 1995 Lynn (Massachusetts)- A Photo and Advertising Book, Circa 1890. 42 pages of photos and ads. Large oblong undated, circa 1885/90, there are no autos in any photos. Stiff heavy card covers with 1/2 of rear cover missing. String tied and staple bound spine. 10" x 6". A collection of predominantly Boston history titles published by The State Street Trust between 1900 and the 1930's. All are in VG to Fine condition in original bindings. Beginning with their, I believe first book "State Street A Brief account of a Boston Way", through the title "Some Indian Events" from 1934. A good collection of Boston History. Inquire for complete list, all titles different.. Book Moose B&B (Bagged & Boarded). Bagged in Clear Poly Bag. Loaded with buildings and roads, many steeples, Bridges,and spires can be seen as well. One of the most fascinating in busy birds-eye views I have ever seen! . 101 pages, photo illustrated. Newspaper Obit. of the 'Bad Boy' taped to the front fep. .
Means Library, 1995 Means Library, 1995. Paperback. Book Condition: Near Fine with minimal wear, includes a certificate for a free hot dog and dog walk dated 1998. . Illustrated Color Wraps. Near Fine. 4to. Bagged & Boarded for Posterity. The Connecticut Register - 1865. Brown and Gross , 1865 192 pages, in the original dark brown blind-stamped cloth. Near Fine. . Bagged & Boarded for Posterity.